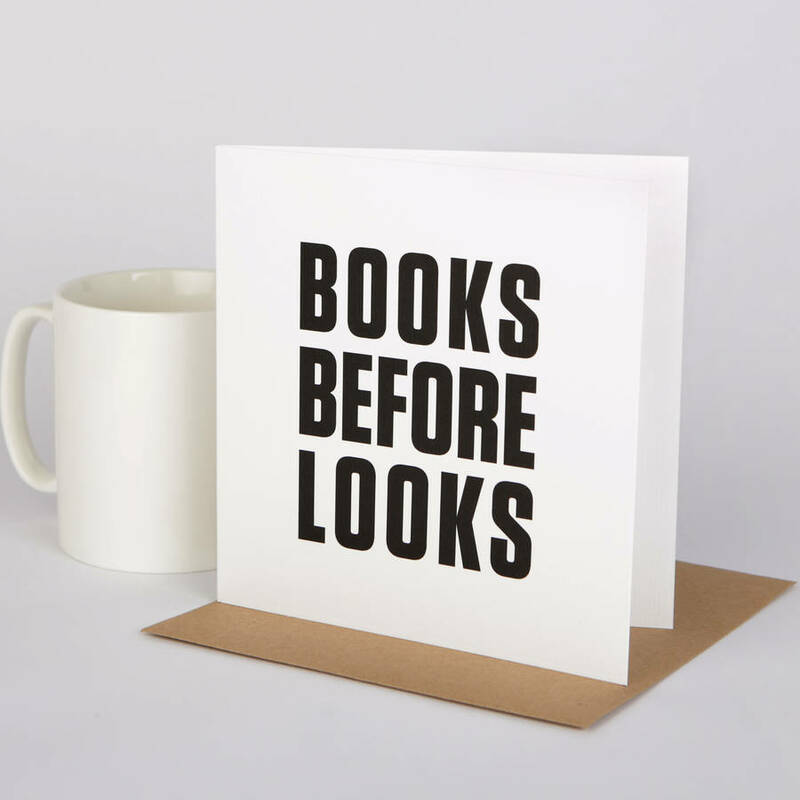 A witty card for a book lover proclaiming the importance of great books over great looks! 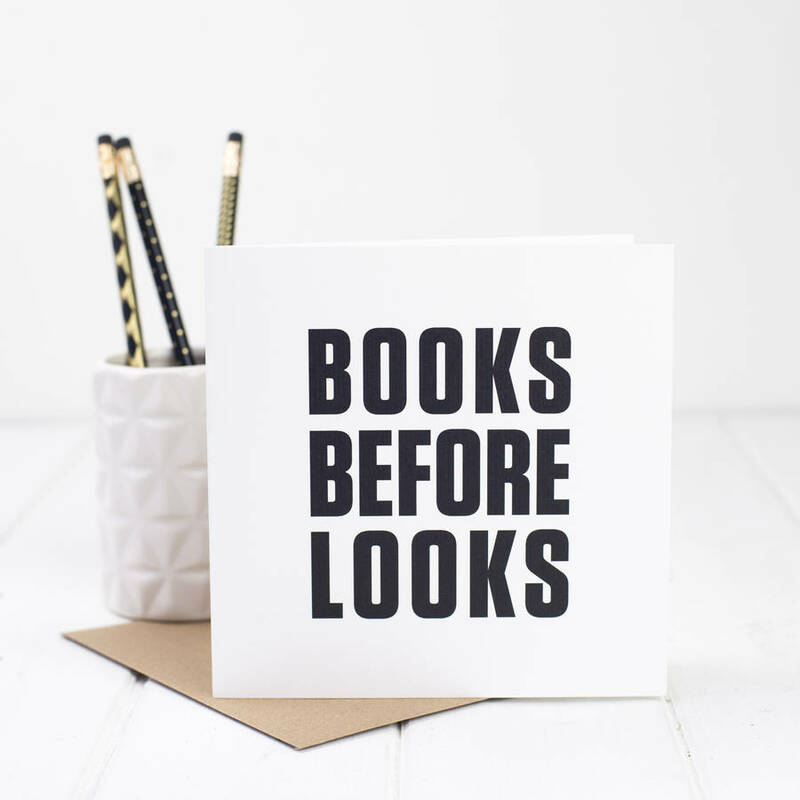 Our unique and funny card is perfect for the avid reader - for a birthday, graduation or an 'I saw this and thought of you' gift. 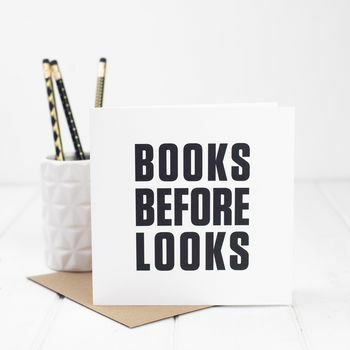 This 'Books Before Looks' card is unique to Bespoke Verse. We specialise in rhyming gifts and were notonthehighstreet's 'Poets Less Ordinary' for their Valentines campaign 2015. You can see our other rhyming cards by clicking the link 'see seller's complete range'.